Lenczner Slaght adds another exceptional litigator to its expert Intellectual Property team. Canada’s leading litigation firm is pleased to welcome Kaitlin Soye. Kaitlin comes to us from a leading international law firm with proven experience in advocacy. 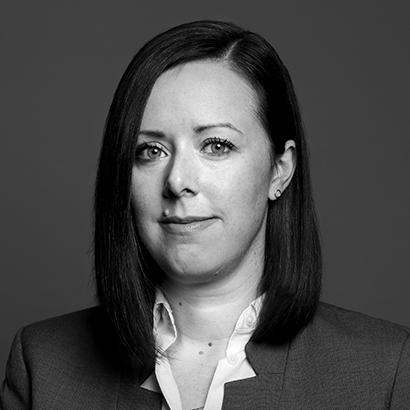 Adding to our team’s varied technical backgrounds, diverse thinking, and deep understanding of the IP landscape, Kaitlin will further enhance our ability to protect clients’ valuable IP. Kaitlin's practice encompasses a broad range of intellectual property litigation, including pharmaceutical and biologics patents, food and drug regulatory, oil and gas, and telecommunications. During law school, Kaitlin worked as a research associate in the Centre of Genomics and Policy. She also volunteered at the McGill Legal Information Clinic and the Concordia Legal Information Clinic. Prior to law school, she completed her B.Sc. in Molecular Biology from the University of Guelph, her M.Sc. in Microbiology and Immunology and her Ph.D. in Experimental Medicine from McGill University. She has extensive research experience in molecular biology, biochemistry, and infectious disease.